If you're looking to side-step the hype and find delicious food, follow an off-duty restaurateur. We asked the Guisados co-owner to let us in on his favorite off-the-clock Mexican eats. Given the cult following it’s developed among Mexican-food aficionados, you would think that Guisados has been a staple of the Los Angeles taco scene for decades. 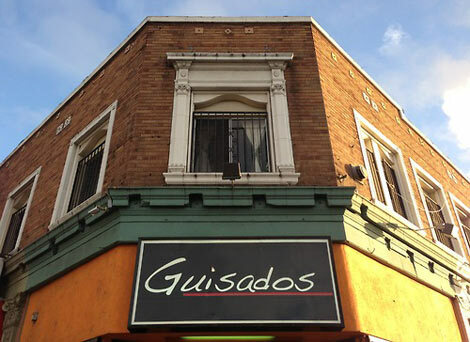 Yet remarkably, father-and-son duo Armando de la Torre Sr. and Jr. opened the original Boyle Heights location of Guisados just a few years back, in 2010. They’ve since launched a second shop in Echo Park, and a Downtown L.A. offshoot is in the works. The menu is anchored by Armando Sr.’s homey and flavorful stewed meats and vegetables (the Spanish word guisado refers to a braise or stew), including peppery cochinita pibil (stewed pork) and smoky bistec en salsa rojo (steak with red salsa). Their success is all the more impressive considering that, not long ago, the pair were working in real estate. Coming out of the recession, they stumbled upon a recently-shuttered tamale restaurant and decided to make a bold career change. In 2013, Armando Sr.’s daughter, Clarissa, also came on board, making Guisados a true family affair. When they’re off-the-clock, the de la Torres tend to hit up other family-owned restaurants in East Los Angeles (the largest Mexican-American community in the United States) for everything from burritos large enough to feed five, to Mexican sweet breads called conchas. Here, Armando Jr. lets us in on his favorite Mexican restaurants in Los Angeles, as well as what to order when you go there. RELATED: The Great Debate: Is L.A. Mexican Food Really Better than NYC Mexican Food?